At FineLine, our high performing solid roofs are indistinguishable from real tile. They are perfect as a conservatory roof replacement and also for installation on a new build extension. We also provide the option of a traditional tiled roof, but this is only for new build conservatories and not roof replacements. We can confidently match your conservatory roof tiles with your house roof tiles to create a uniform appearance to your property. 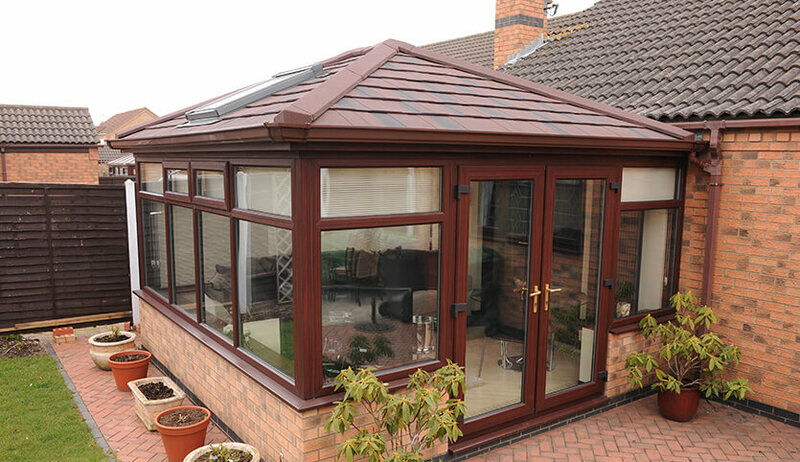 Whatever style of conservatory or orangery you choose, we can install a tiled roof to match. 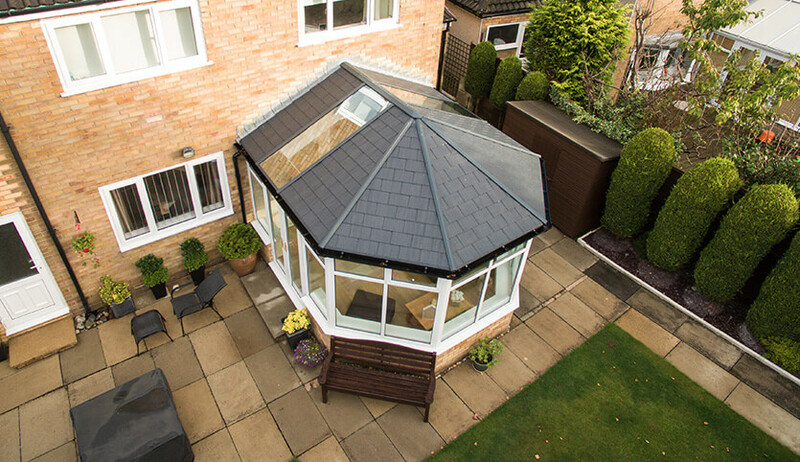 Why choose a tiled roof for your conservatory? 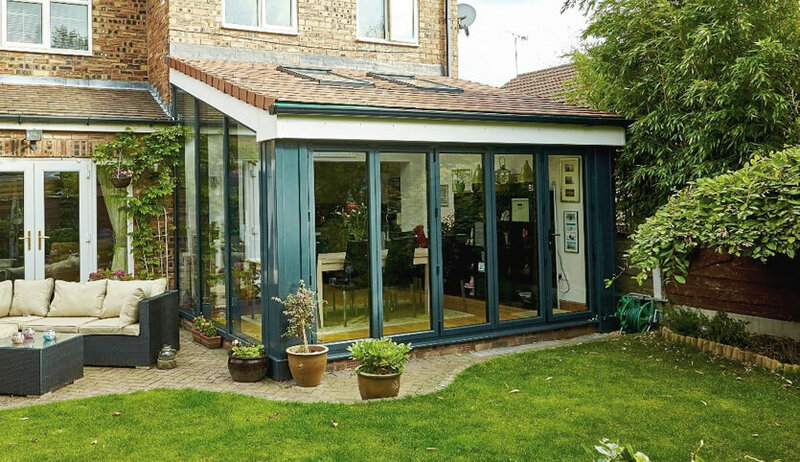 Many people think of a conservatory as a home extension made completely from glass. In lots of cases this is true. 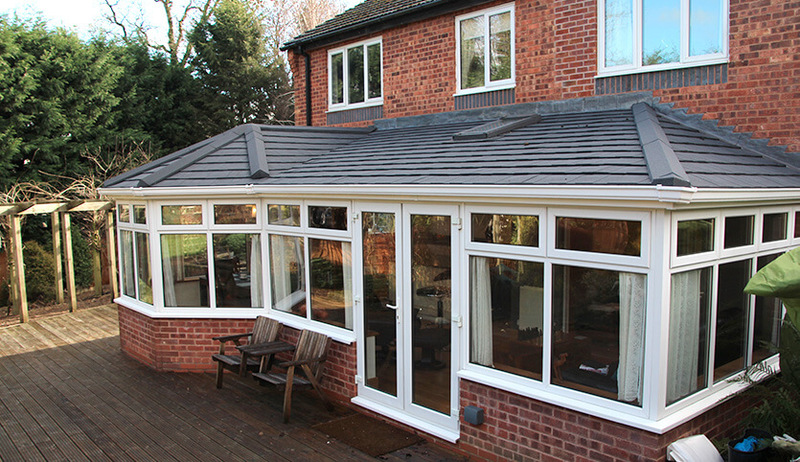 A tiled roof, however, is an excellent option for your glazed extension. It will create a more private atmosphere in your conservatory, making it feel more like an integral part of your home. A solid tiled roof is great for new-build conservatories, orangeries, and traditional extensions. 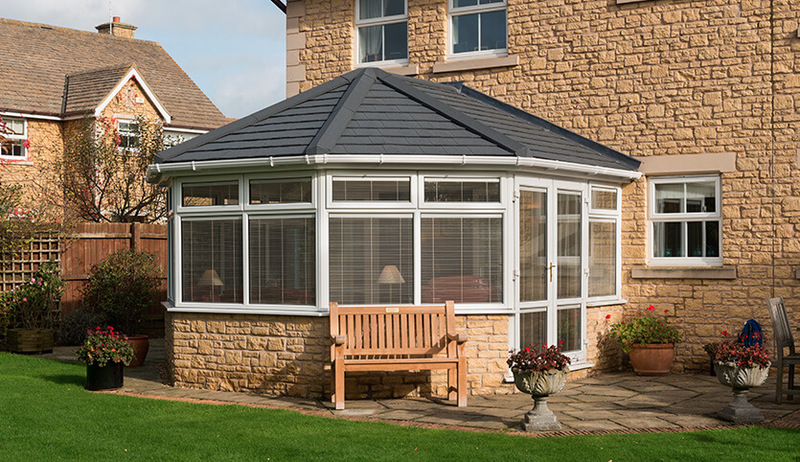 If you want to replace your existing conservatory’s roof, we can install a lightweight tiled-effect roof which can be completely installed in under two hours. When you want a compromise between glazed and tiled roof, a skylight is an excellent solution. 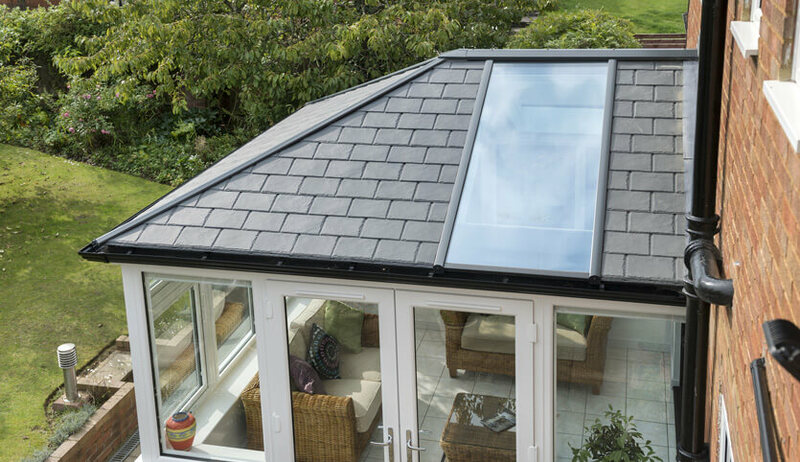 Installing one or several skylights into your tiled conservatory roof will allow more natural light into your extension without impacting privacy levels. Skylights are also a great way to keep your home well-ventilated. Control air flow around your home to keep it feeling nice and fresh and maintain an ambient temperature at all times of the year. Inside your extension, a tiled roof can be plastered to make it feel like the rest of your home. Incorporate downlights for added ambience or even integrated speakers for the ultimate 21st century experience. If you choose a tiled roof for an orangery or traditional brick-built extension, the plastered ceiling can seamlessly join the plastered wall sections creating a stylish look to your interior décor. The walls can then be adorned with your choice of paint, wallpaper, pictures, photos, and mirrors. Our tiles for our tiled roofs are available in a range of colours allowing you to closely match existing roof tiles on your property.